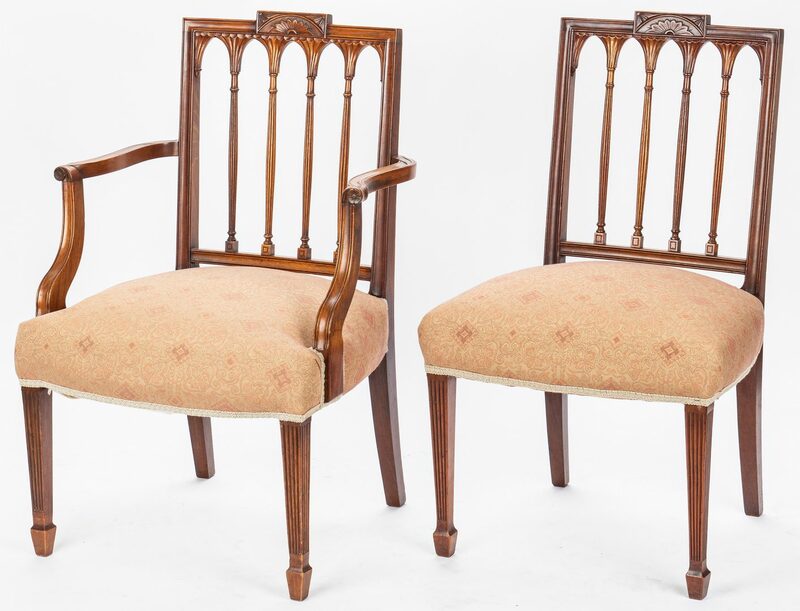 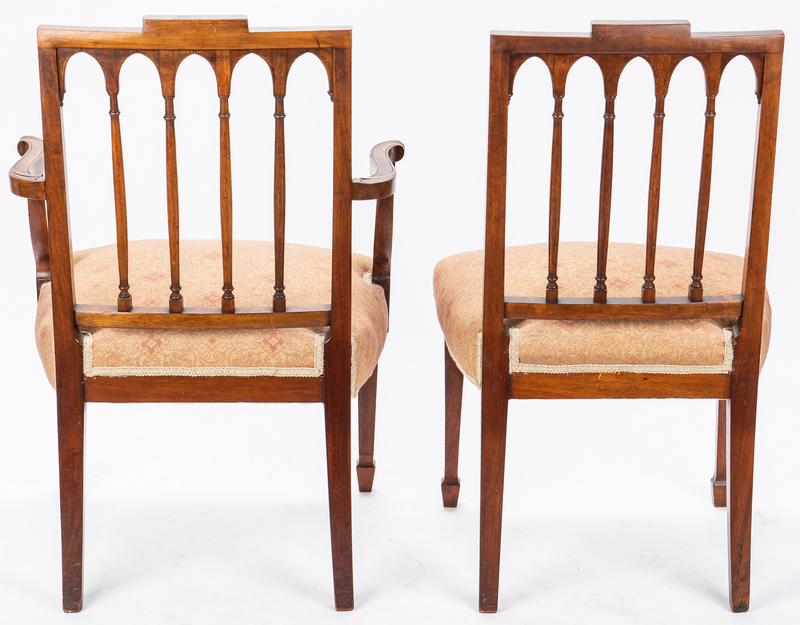 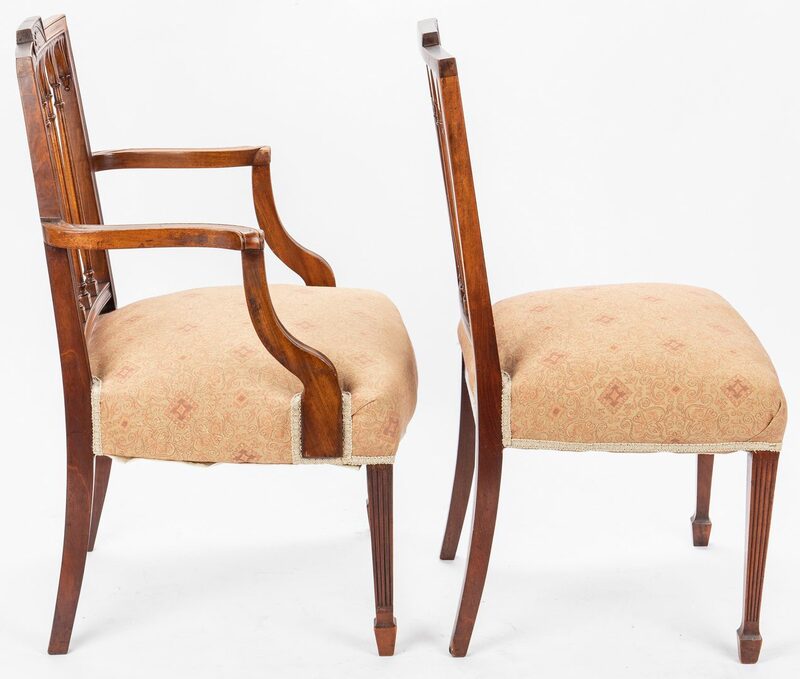 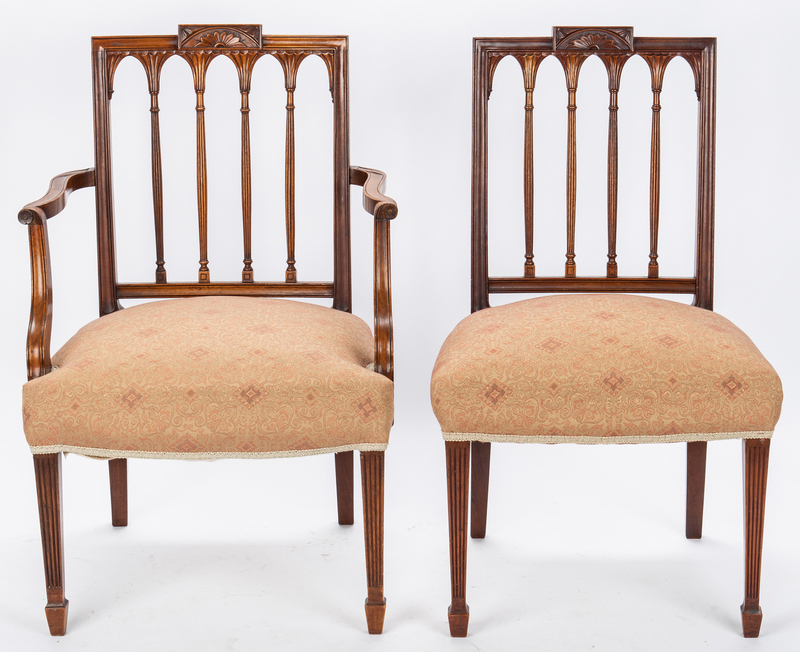 Two (2) American mahogany and cherry Federal square-back chairs, one armchair and one side chair. 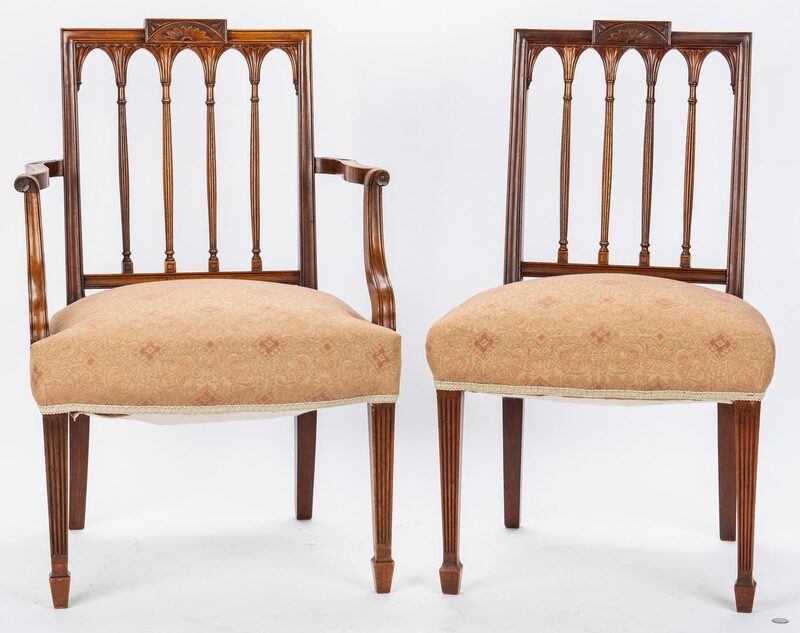 Both with straight molded top rail crowned by a rectangular center panel with carved fan decoration. 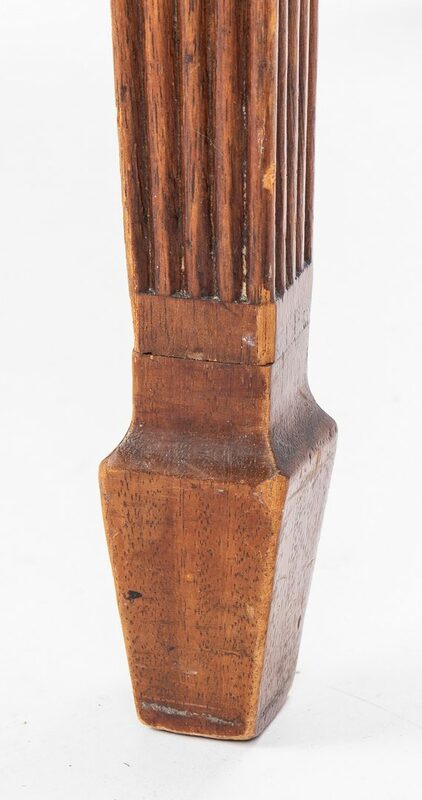 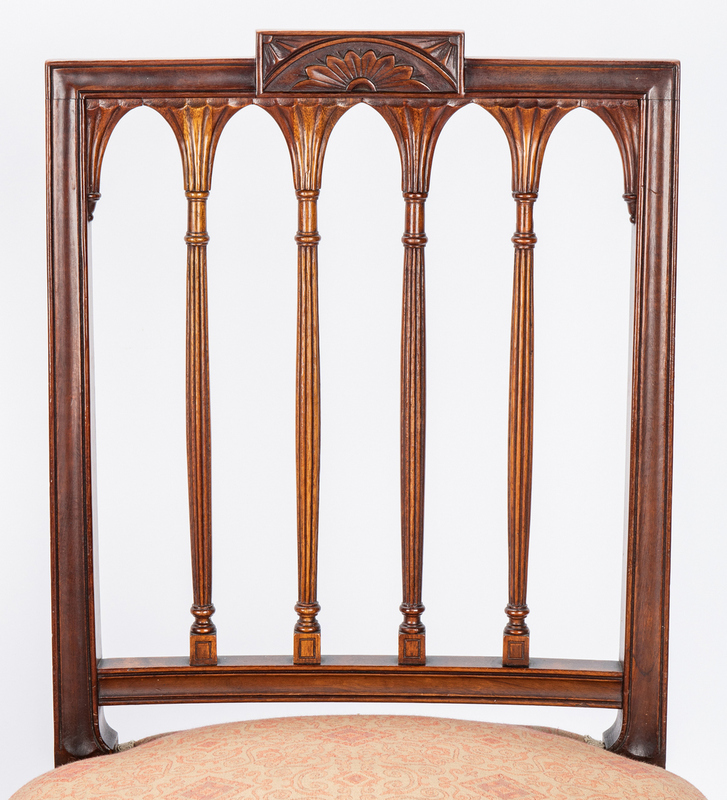 Straight stiles enclosing 5 pointed and fluted arches between 4 reeded columns with turned capitals and square bases. 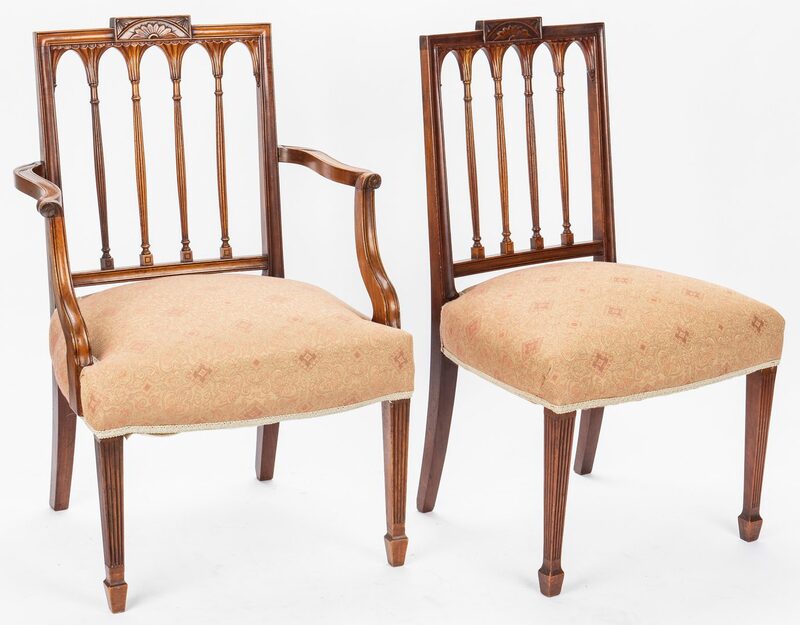 Molded lower back rail and curved seats over front tapered and reeded legs with spade feet and plain tapered rear flaring legs. 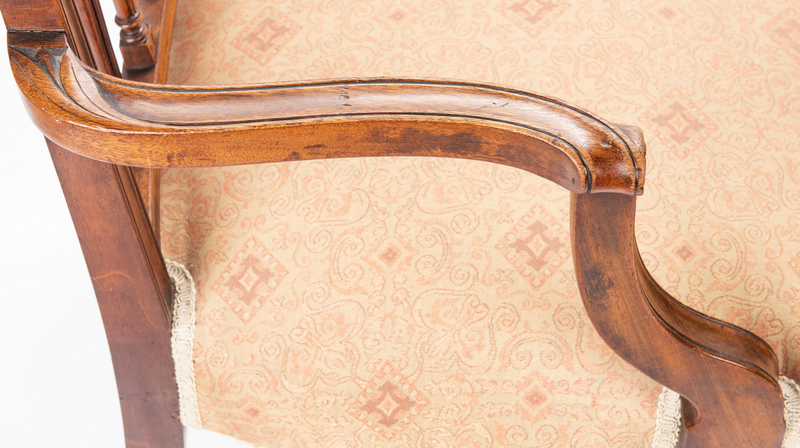 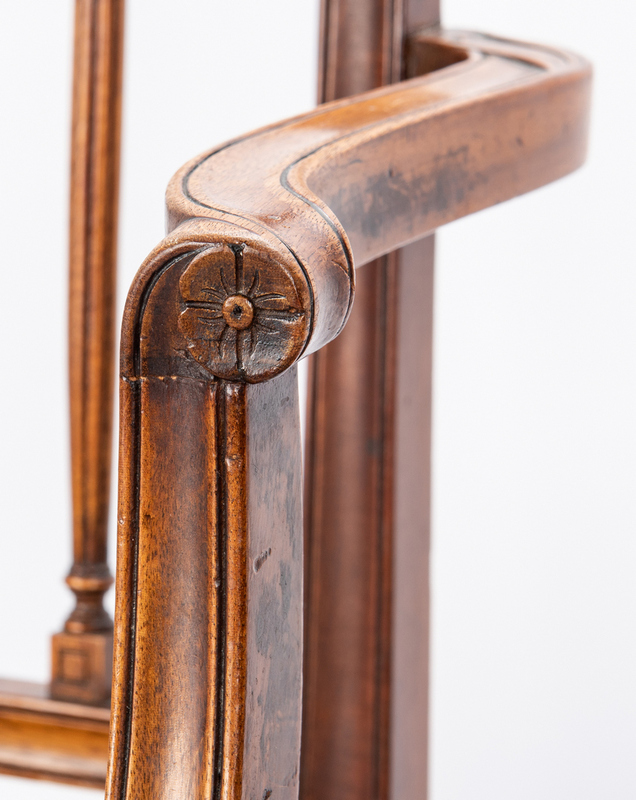 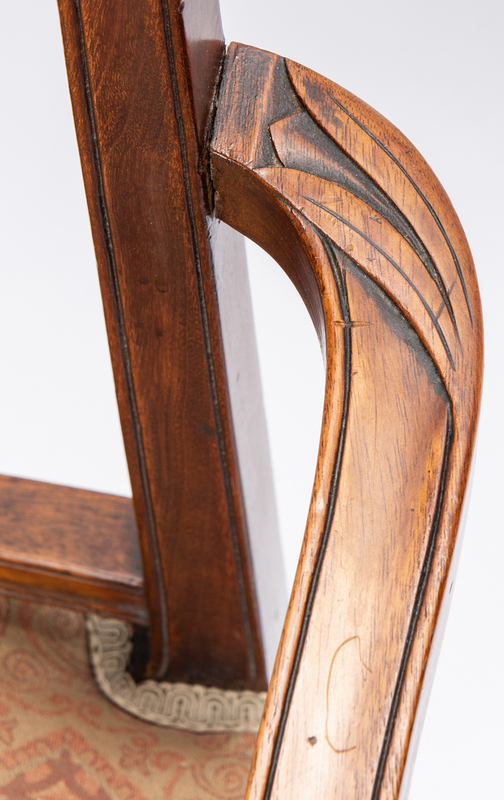 Armchair with curved projecting arms with the handholds terminating in carved rosettes. 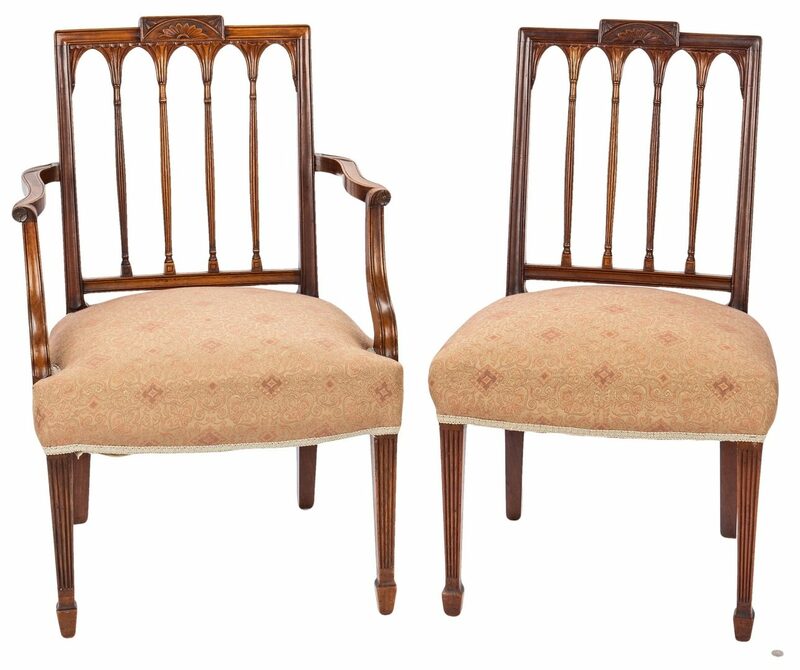 These chairs are similar to chairs produced in New York and Rhode Island. 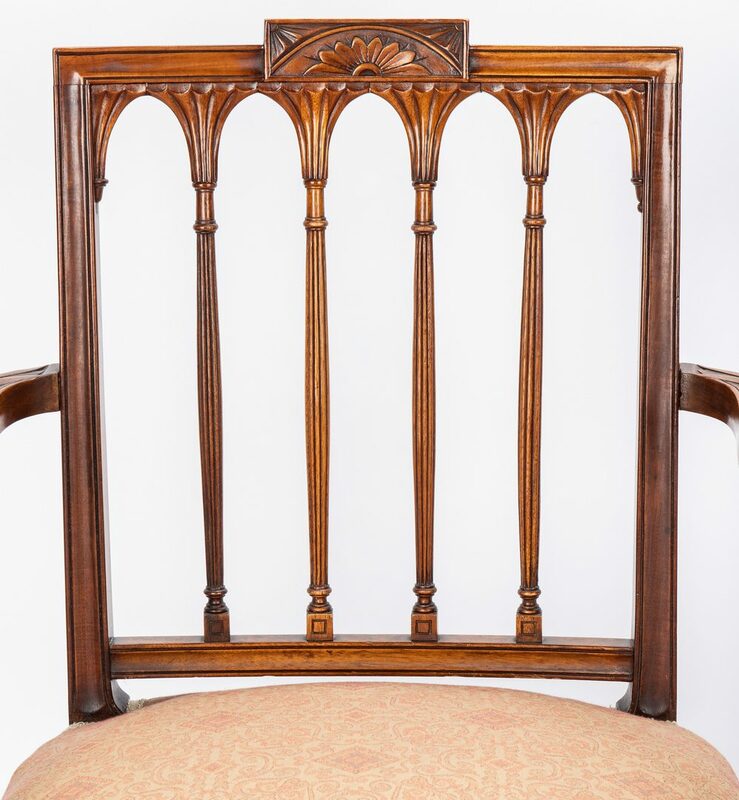 Armchair – 34 3/4" H x 22 1/2" W x 18 3/4" D. Side Chair – 34 3/4" H x 21" W x 17 1/2" D. Circa 1800-1810. 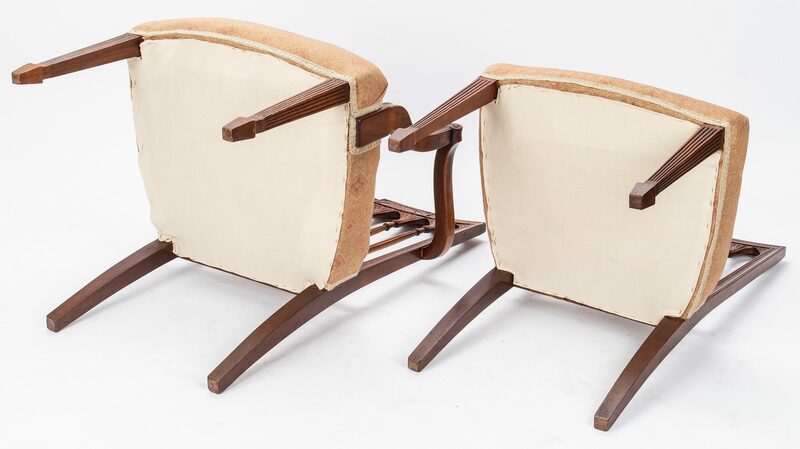 CONDITION: Armchair front feet have been tipped. 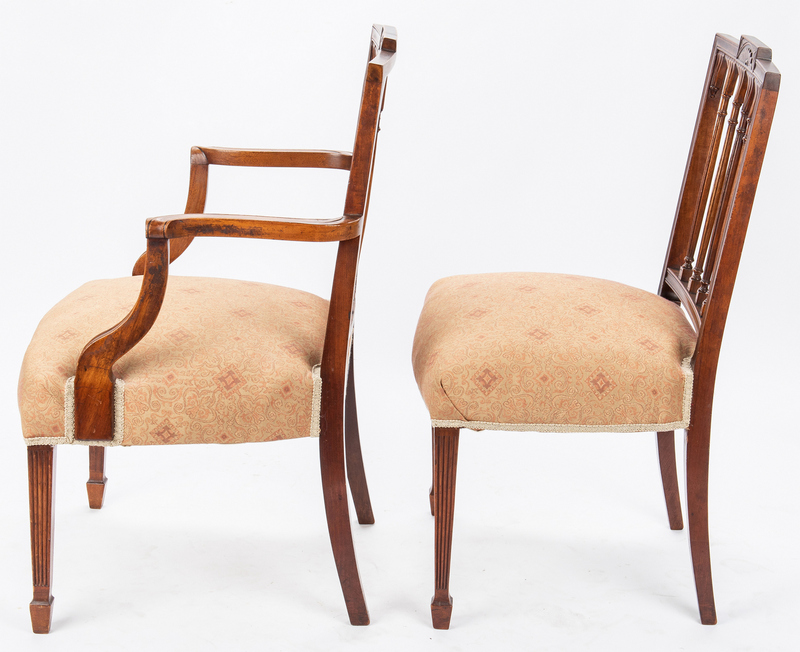 Otherwise, both chairs overall good condition with general wear.